Beautifully maintained and updated home in Roudebush Woods! 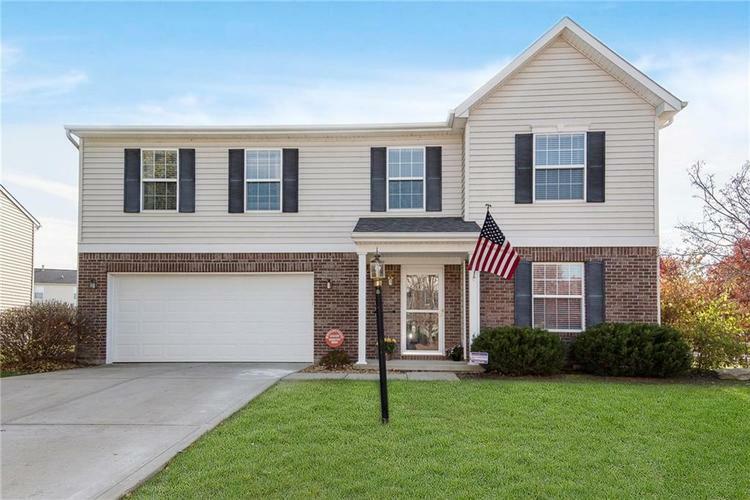 Located on one of the largest lots in the neighborhood this 4 Bedroom, 2.5 Bathroom home has a NEW ROOF, NEW KITCHEN APPLIANCES, NEW HVAC SYSTEM, and NEW FLOORING! Updated kitchen boasts new flooring, updated cabinets, and stainless steel appliances! Front room currently used as a home office, but could easily be a formal dining room if needed. Extra storage in the oversized garage and additional living space in the upstairs loft - this house has so many extras to offer for the price! Directions:SR-37 North to 191st St, East to Promise Rd, North on Promise to entrance of Roudebush Woods (Balfour Dr), West on Balfour to Romney, North on Romney to Amelia - on the corner of Romney & Amelia.